Posted on November 13, 2018 at 11:00 am. The Victorian government’s plan to increase the number of poker machines in Wyndham has not gone down well with the local council. State Gaming Minister Marlene Kairouz announced last week that new gaming entitlements from 2022 onwards would allow for 80 new pokies at venues in Tarneit, Truganina and Point Cook. That would bring the total of electronic gaming machines in the region up to 983. The decision has met with stern opposition from local officials who believe the state government has tried to sneak one through the back door. “The fact that it has been so quietly revealed in the lead-up to a state election is deeply disappointing,” Councillor Josh Gilligan told reporters. 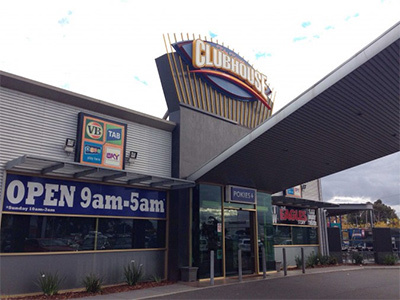 Gambling reforms introduced 12 months ago put Wyndham under a partial regional cap of 638 gaming machines in Hoppers Crossing, Laverton, Laverton North, Manor Lakes, Werribee, Williams Landing and Wyndham Vale. Certain areas of the city fall outside that cap, however, and a government spokesperson insisted the new pokies were not coming into high-risk zones for problem gambling.